Joseph K is a bureaucrat who awakens one morning to find intruders in his apartment. They claim to be policemen and inform him that he's on trial. However, his crime remains unspecified and he is not arrested. Joseph's landlady knows nothing and cannot help him. Later at the office, events take further disorienting and bewildering turns. That night, Joseph is abducted at the opera and brought before a judge. The situation get worse from there. With its nightmarish atmosphere, The Trial shows a surreal portrait of bureaucracy run amok. 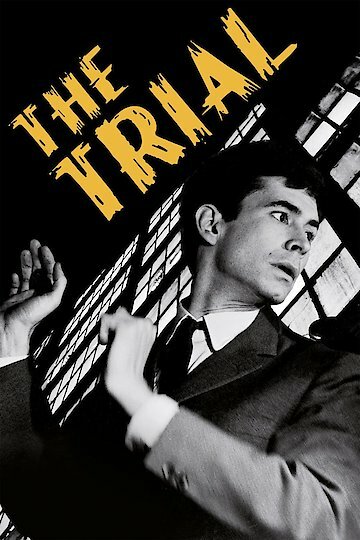 This film is Orson Welles' classic adaptation of Franz Kafka's story. The Trial is currently available to watch free on The Roku Channel and stream, download, buy on demand at Fandor, Google Play, YouTube VOD online.